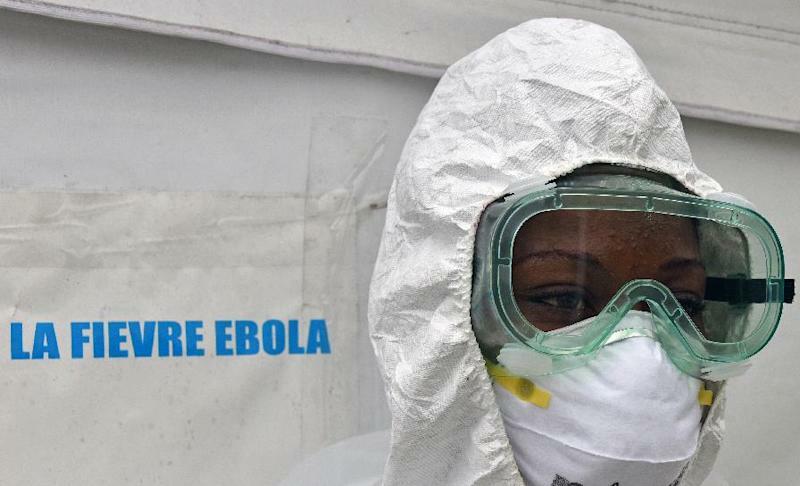 Geneva (AFP) - More than 4,500 people have died in the deadly Ebola outbreak that began in west Africa at the beginning of the year, fresh World Health Organization figures showed Friday. The UN health agency said that 4,555 people had died from Ebola out of a total of 9,216 cases registered in seven countries, as of October 14. Friday's announcement came as Western countries scramble to ward off a feared global spread of Ebola -- one of the deadliest viruses known to man. The WHO splits the seven affected countries into two groups. The first is comprised of Guinea, Liberia and Sierra Leone -- by far the worst affected nations. That declaration could be made after the benchmark of 42 days passed without any new cases since Senegal's single, non-fatal Ebola case in August. In the Democratic Republic of Congo, hit by a separate strain of Ebola from the one raging in west Africa, the WHO said there have been 68 cases and 49 deaths up to October 9.